President Donald Trump’s executive order temporarily halted his administration’s separation of immigrant families, promising to end the separation of migrant children from their parents. But for the foster care programs tasked with caring for those already separated, a lack of government guidance has left them — and the fates of children in their care — in limbo. Indeed, the Department of Health and Human Services has not developed a plan yet to reunite these families, according to the Associated Press. More than 2,000 children separated from their parents in the weeks since the Trump administration’s zero-tolerance policy was enacted. And Trump’s executive order does not explicitly state anything about the children already miles away from their parents due to the policy. The Department of Health and Human Services did not respond to multiple requests for comment. For now, foster care programs plan to continue taking care of these kids (the Department of Health and Human Services stipulates unaccompanied children must be transferred to foster homes or shelters funded by the Office of Refugee Resettlement within 72 hours). Caring for those children means finding members of their families already based in the U.S., temporary foster parents or counseling them in shelters with other children. “There’s no mention of any rehabilitation or place in the executive order for those 2,300, so we don’t know at this time,” said Ashley Feasley, the policy director for migration and refugee services at the United States Conference of Catholic Bishops, which is housing a number of migrant children in their shelters and foster homes. Keeping business as usual isn’t so easy. Some non-profit, faith-based foster care organizations — funded through the Office of Refugee Resettlement — struggled to keep up with the influx of children and found themselves adjusting to accommodate for younger, traumatized children. To accommodate the increase of children under unusual circumstances, foster care program leaders say they’ve scrambled to launch months-long expansion projects in just a few weeks, used group homes when possible and encouraged donors to provide more resources. Clinicians at these foster care programs are working to address the well-being of the children as their parents, in some cases, are in an unknown location, hundreds or thousands of miles away. “Our foster care programs are having to respond to that immediate trauma of separation on top of everything else before they can move on to case management and other needs,” said Katie Kuennen, assistant director of children’s services at the United States Conference of Catholic Bishops Migration and Refugee Services, which has placed a number of these children in shelters or foster care. Organizations are now tasked with trying to communicate with the federal government to find, identify and reunite families. Even when they can find the parents, reuniting a family can be hard. In one case, an initial phone call took weeks to initiate, said Kuennen. Foster care is an option for children who are at “imminent risk of harm,” and organizations and advocates tend to try to keep children with their families if feasible, said Margaret Coyne, executive director and co-founder of Advokids, a group that helps young children entering state foster care programs in California. The zero-tolerance policy essentially goes against that theory, Coyne said. 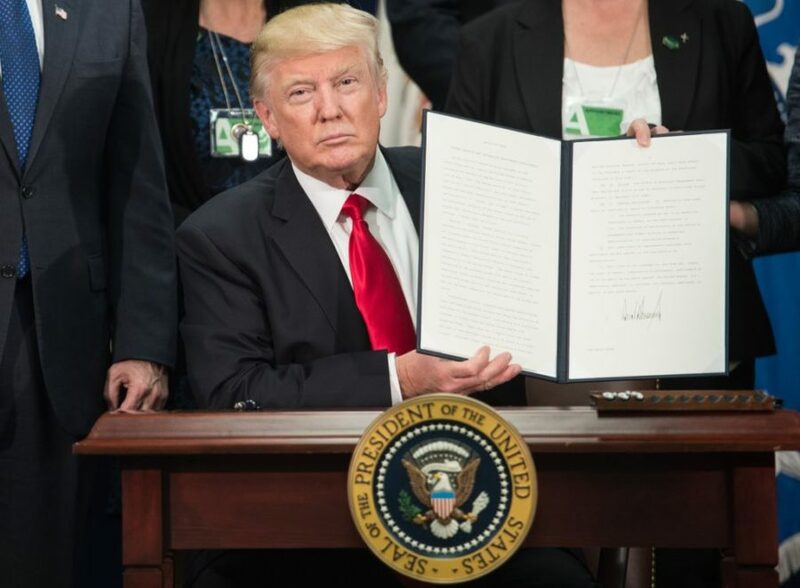 “We now have the federal government proactively causing early childhood trauma,” Coyne said in an interview before Trump signed his executive order. Katie Reilly contributed to this story.